Being Broome County’s leading dynamic driver of economic development requires a keen understanding and commitment to growing the hard-working small business community that built Broome County. To continue this legacy, we developed our Business Retention and Expansion program to be the go-to resource to help existing small businesses expand, grow and truly thrive in our community. Our BR&E program is a critical element of our economic development toolkit. We offer a diverse array of tactics to identify the ways in which we can assist a business in its growth, and then implement the necessary tools to ensure that growth. From face-to-face consultations to on-site visits to loan financing to deal structuring and so much more, we are dedicated to helping the small businesses that seek our assistance. We’ve helped many businesses to expand through our BR&E program and are always ready to take on a new business in need of our services. Despite the help the BR&E program has given, there is always more that we can do to evolve with the needs of local business. We are thrilled to announce the Small Business Incentive program, aimed at assisting local business owners in affordably expanding their operations. This new program will provide an eight-percent New York State sales tax exemption and can, in some circumstances, also include a one-percent mortgage recording tax exemption for eligible expenses related to a planned purchase or renovation. Such exemptions will result in increased cash flow, enabling business owners to make purchases necessary to expand more affordably, such as the expansion and/or renovation of existing facilities, purchase of new machinery or equipment, and more. 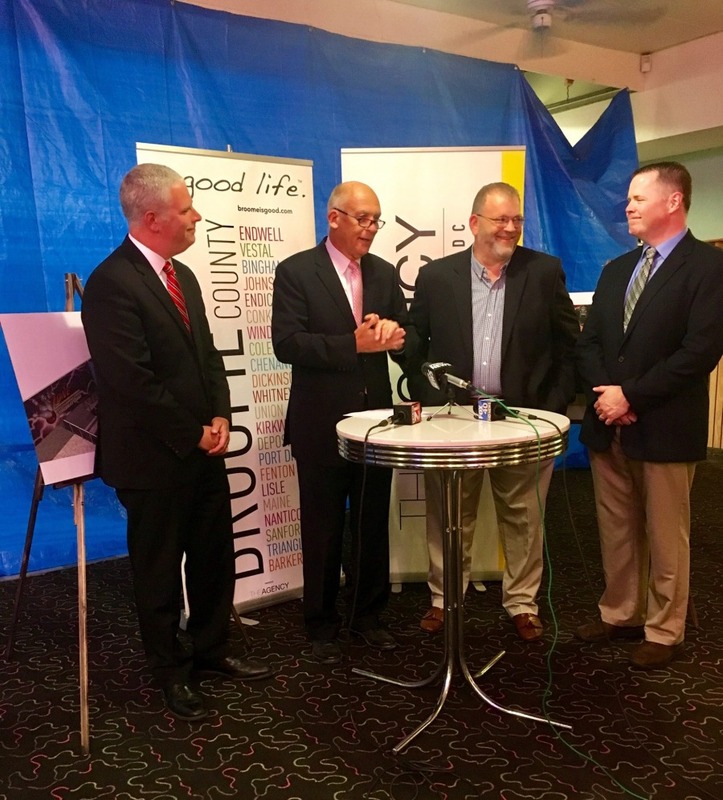 We recently joined Steve Miller, owner of Midway Lanes in Vestal and the first client of our new program, to announce the details of this new initiative. Steve has operated Midway Lanes since 1999, and now, with our help, he plans to remove a bay at the bowling alley and turn it into a recreation area that will include laser tag, a “spin zone,” and video gaming area. Miller noted that the ‘spin zone’ addition is the first of its kind in North America. He expects the project to be completed by mid-August. Small businesses, like Midway Lanes, are the backbone of our local economy. We are looking forward to assisting many other local businesses through our Small Business Incentive program, and the continuation of our BR&E program. Small businesses really do #define Broome County and help it to #thrive #thrivenow #defineyoureconomy #Broomeisgood.